Reaching your optimal customer in a competitive market. We don’t need to point out that the real estate market is very competitive. Whether you are seeking to attract a possible home owner, seasonal rental, a commercial lease holder, or someone to purchase and invest in a commercial property or land – speaking to their interests is key to getting and then keeping their attention. Compelling someone to choose your agency over another to either buy or sell can seem, at times, unsurmountable. Our process focuses on three key steps. First define and attract the right customer for the properties you need to sell, rent or lease. Next, keep getting the word out consistently about your realty and key properties for sale or lease. And finally, don’t forget to nurture these leads to increase the chances your name will be top of mind when a person is ready to buy their dream property, lease their corporate office or commit to a seasonal rental. 1. Define the right customers. You may think you should market to ‘everyone’ however that is not only expensive to do, but also a waste of your agent’s time. The right customer can be found and defined based on their interests, price of the property, and realistic income needed to purchase or rent the residential or commercial properties in your book. 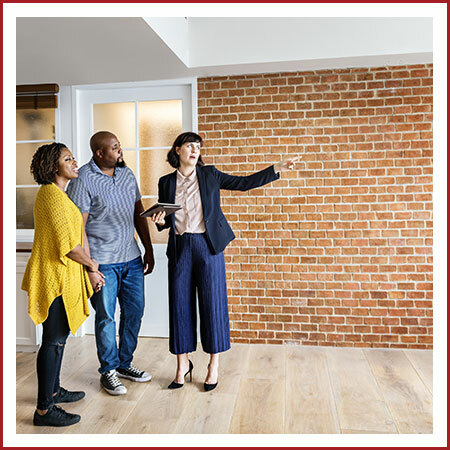 Give careful consideration to the homes or business properties your realty is listing, and what type of person would be most likely to buy it. For the residential home market, they may be first-time home buyers, growing families, retirees downsizing, vacation or second home owners. For your commercial properties you may be looking for a creative economy professional starting their own business, a light manufacturing company looking for warehouse space, or a retail store owner. 2. Get the word out consistently. It’s important to develop name recognition for your realty. There are some differences in how you will accomplish this if you are a commercial realty verses a residential realty, however these are a few strategies that apply to both. Consistent signage is critical. In addition to a sign in front of your properties for sale, consider a custom car decal or wrap. Sponsor local community or business events. Send out direct mailers if you are seeking new properties to list. Keep your social channels active and in addition to optimizing your website for sale and rental (+ location) terms, you may also want to invest in strategic pay-per-click online advertising. 3. Nurture your leads by marketing smarter. Do you feel like your marketing isn’t working? It’s likely that your realty isn’t nurturing the leads. Remember what you are selling has a long sales cycle. Consumers take a long time from initially thinking ‘I want to buy a home’ to the point of sale ‘I’m ready to buy a home’. Keeping your website up-to-date is essential, but you should be sending your prospective customers tips, articles and other information to keep your realty top of mind. You can do this through an email campaign with MailChimp or publishing with a marketing platform such as Hubspot with free guides so you can get their email and other contact information earlier in the process. Contact us today for a free consultation to discuss the goals and challenges you are having with marketing your commercial or residential real estate business. Subscribe for Real Estate Marketing News & Tips assembled from the most relevant content for your industry - delivered straight to your inbox each month!